Sheep patrol on high alert. Note the suspicious looks as we snap photos. Bearded collie waits outside Tesco. Some people love to check out the local architecture, fashions, or cuisines as they travel. 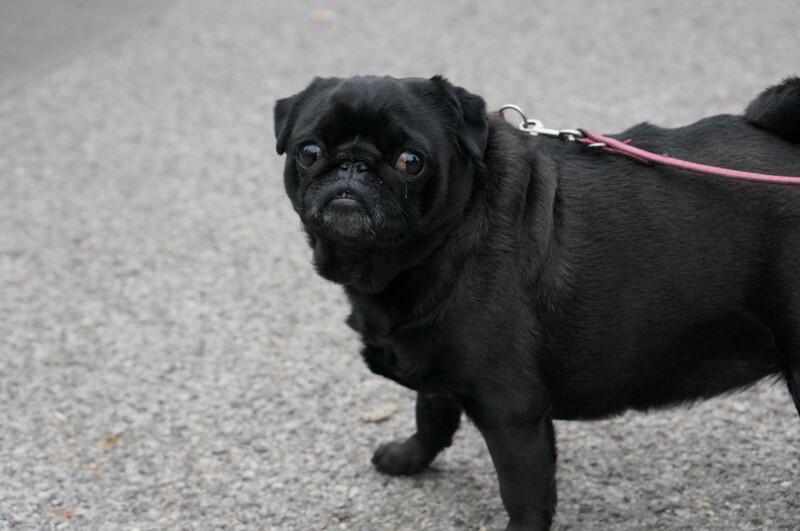 I love to check out the local dogs. 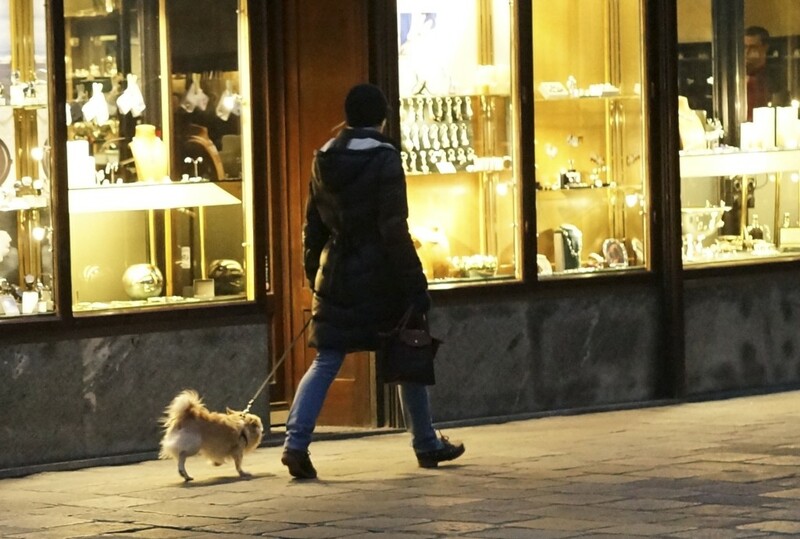 Whether it’s the majestic Maremma sheep dogs in Tuscany, the hardy chihuahuas braving the cold in Stockholm, or a bearded collie patiently awaiting his owner’s return in Canterbury, one thing always remains the same– every city loves their dogs. 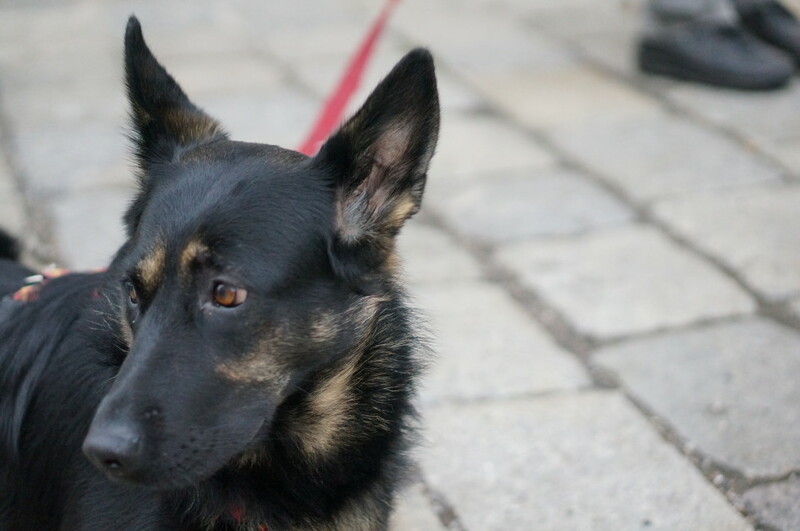 But of all the cities I’ve visited, there is something about the dogs of Vienna that sets them apart from other dogs. Why Viennese dogs are the most elegant dogs in the world. 1. Viennese dogs are perfectly groomed. 2. Viennese dogs are well-mannered. 3. 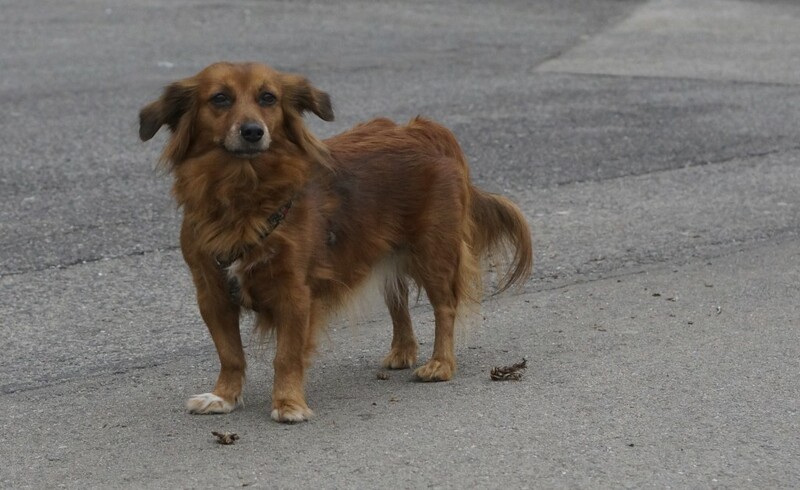 Viennese dogs are gorgeous. Coiffed, but never overdone, this fluffy poodle takes a late evening stroll on the Ringstrasse. Not a speck of dirt on this spotless white hound. Perhaps they are frequent visitors to the hunde salon? 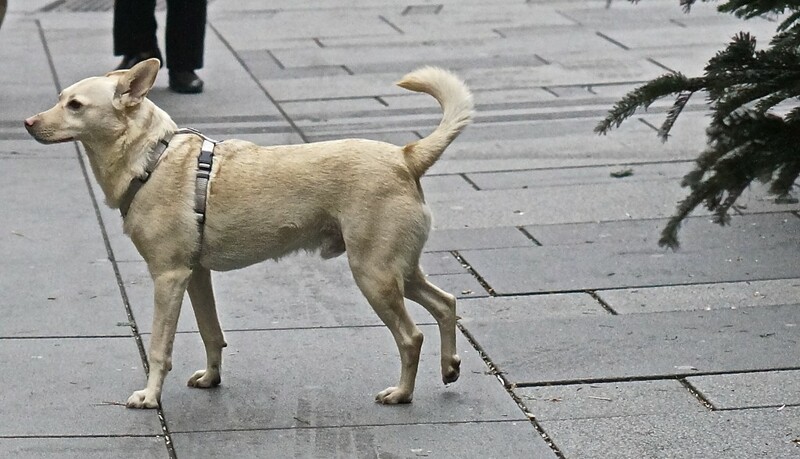 This leash-free dog walked the grounds of Kunsthalle museum like he owned the place. 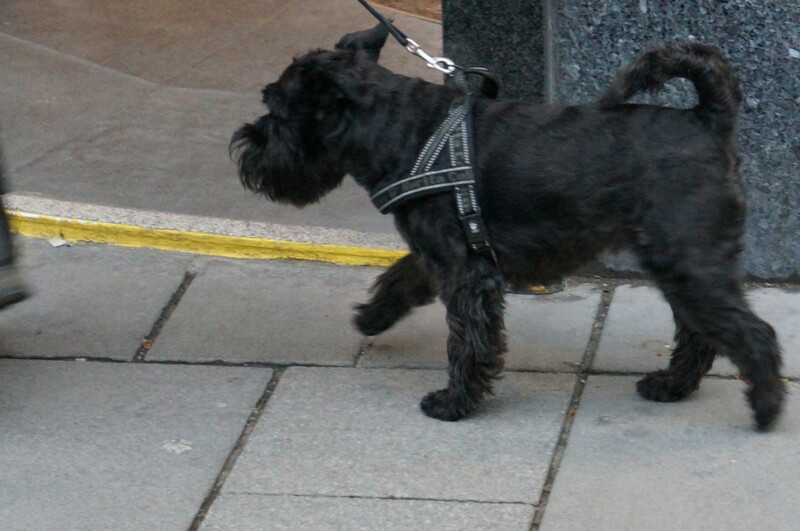 Unlike some American children, Viennese dogs don’t require a leash to behave. I saw many dogs wander around leash-free, then, without a single word or whistle from their owner, swiftly rejoin them at their side. 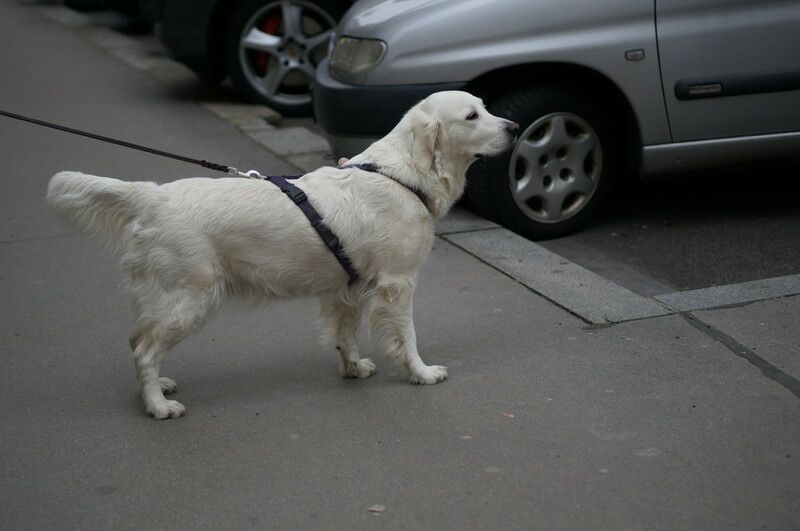 Off leash on the busiest shopping street in Vienna? No problem! This is Max, the most adorable chihuahua in Vienna. This gentle pup enjoyed a toy break. 4. Viennese dogs blend in on public transport. 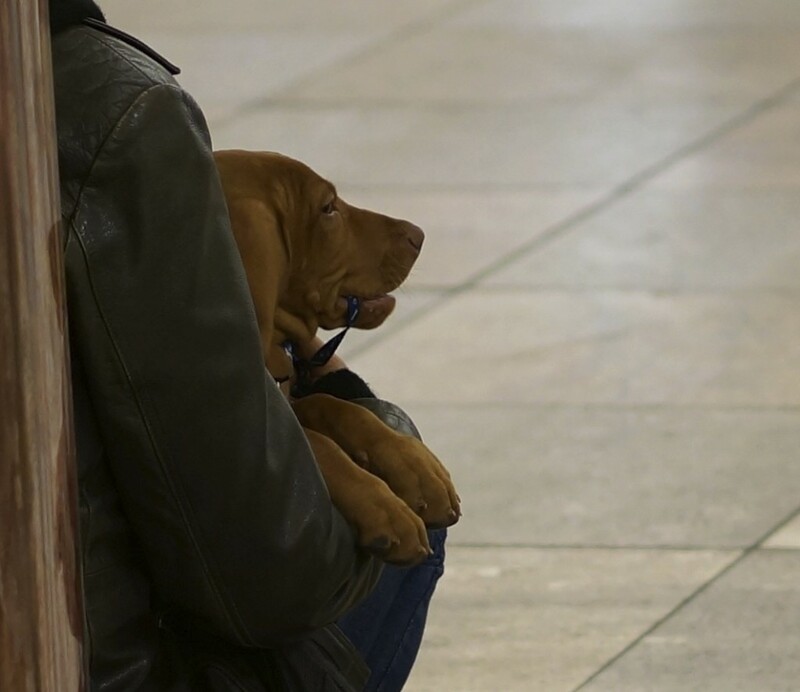 Dogs both small and large are allowed on the u-bahn trains, no carrier required. 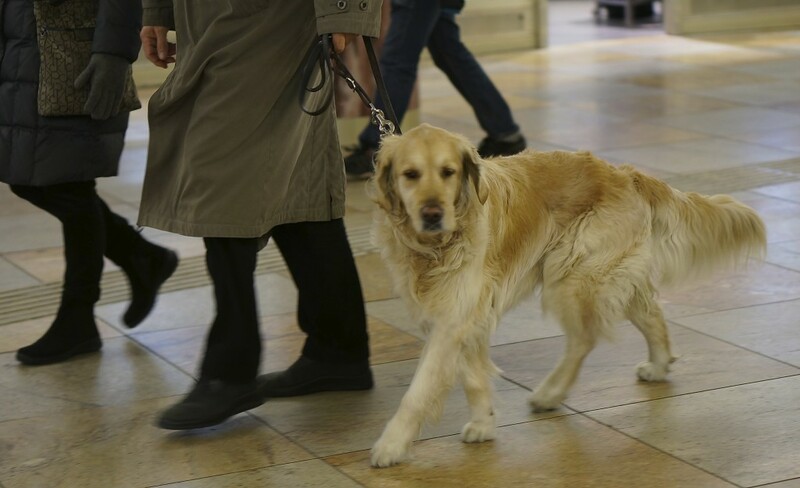 This golden retriever sweeps gracefully through the train terminal. This hound helpfully holds his own leash while his owner takes a rest in the train station. 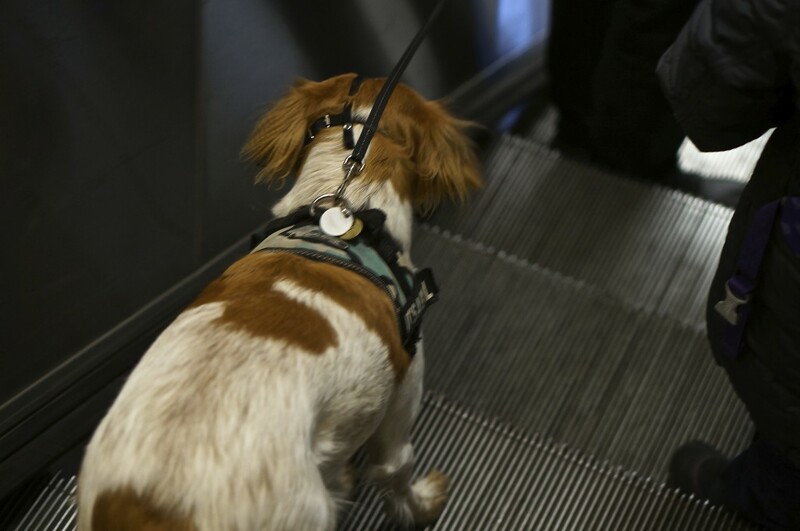 Viennese dogs are skilled at riding escalators. Two paws on each stair, please. 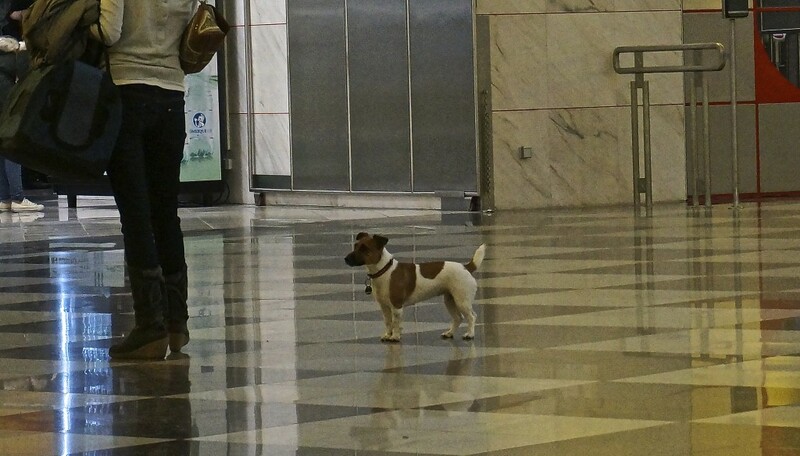 This adorable furball pranced happily through the Vienna airport. Viennese dogs also are frequent fliers– instead of being stuck in a carrier, they waltz right through the airport– even post-security at the international gate. I even spotted this pooch off the leash at the airport. 5. 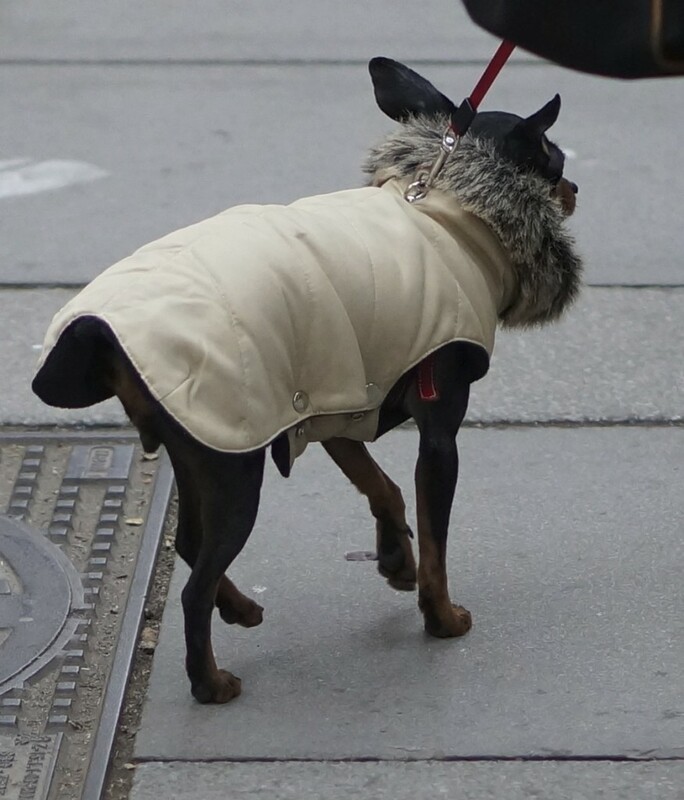 Viennese dogs are stylishly dressed. 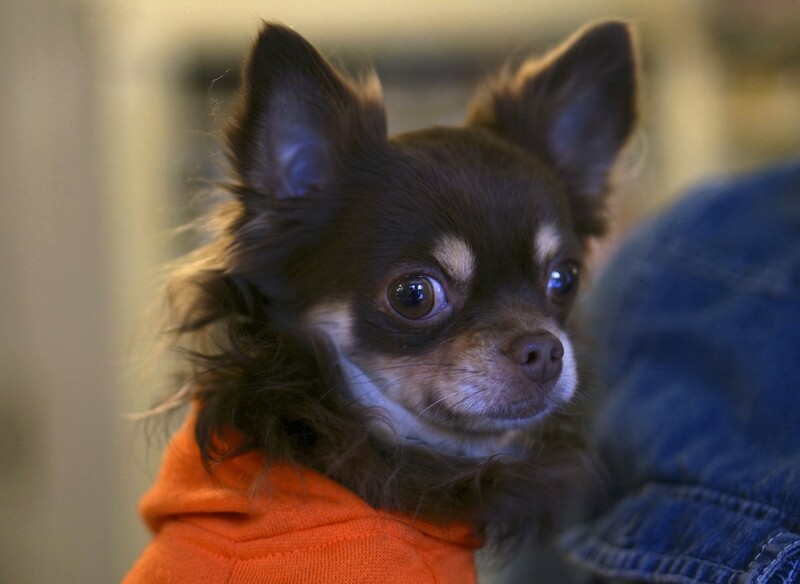 This chihuahua sports a fur-trimmed collar on her coat. No garish designs for these dogs, they are all tastefully dressed. 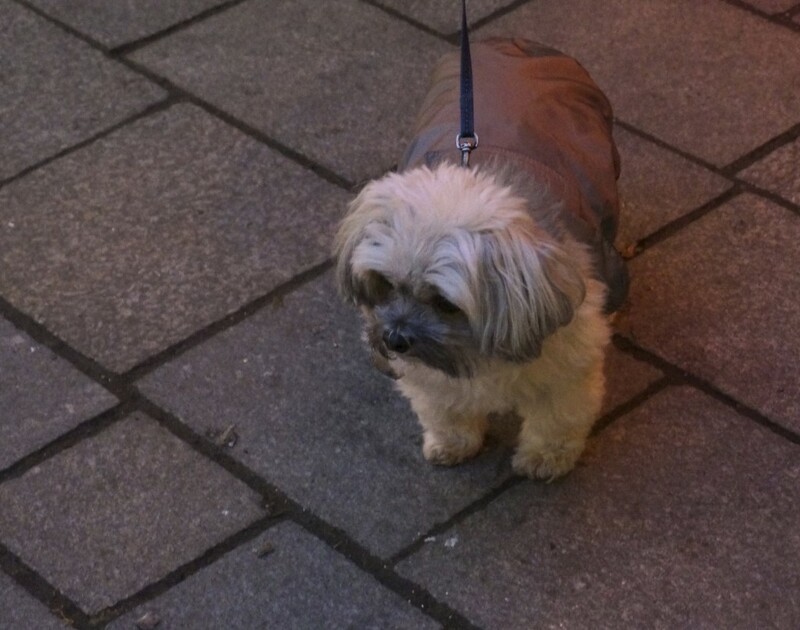 So where do Viennese dogs shop for their elegant coats, sweaters and leashes? 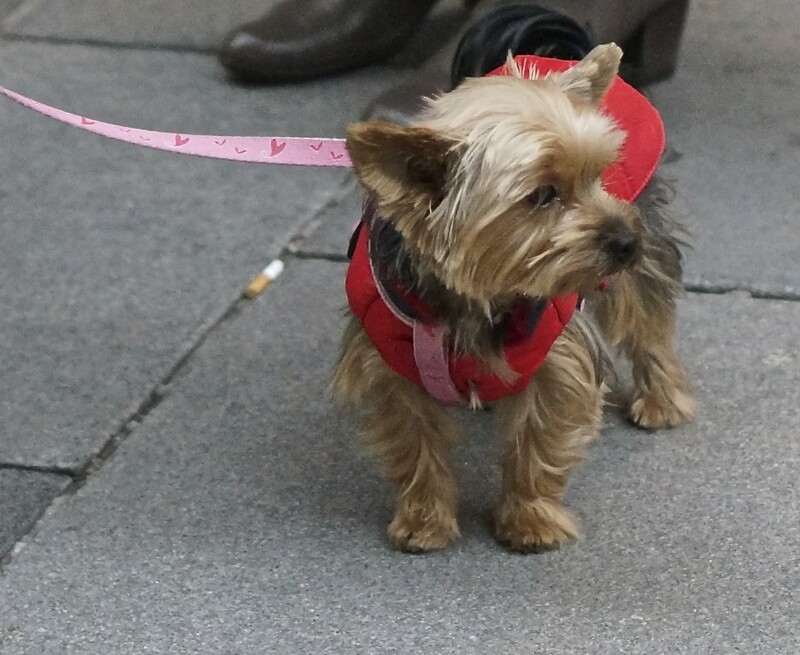 Viennese dogs (and their owners) hit local shops like Katz and Hund for their doggie duds. 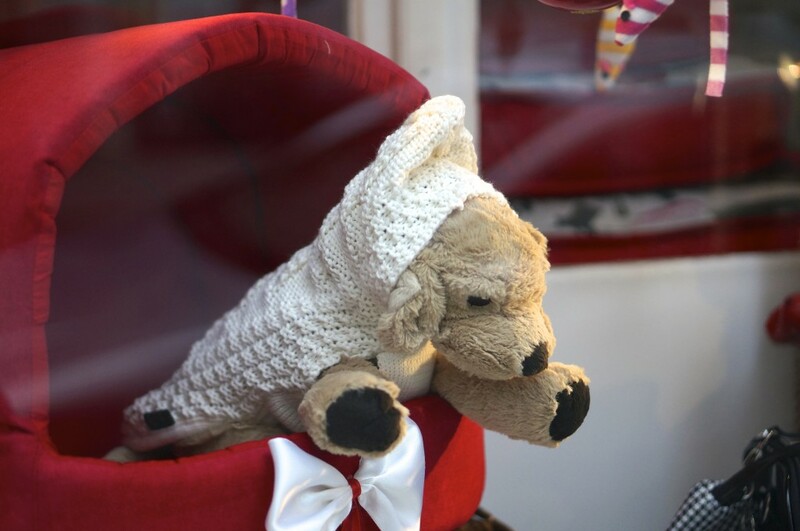 But you don’t have to have a Viennese dog to shop here– doggie clothes and accessories make a great souvenir to bring home for your own pooch. 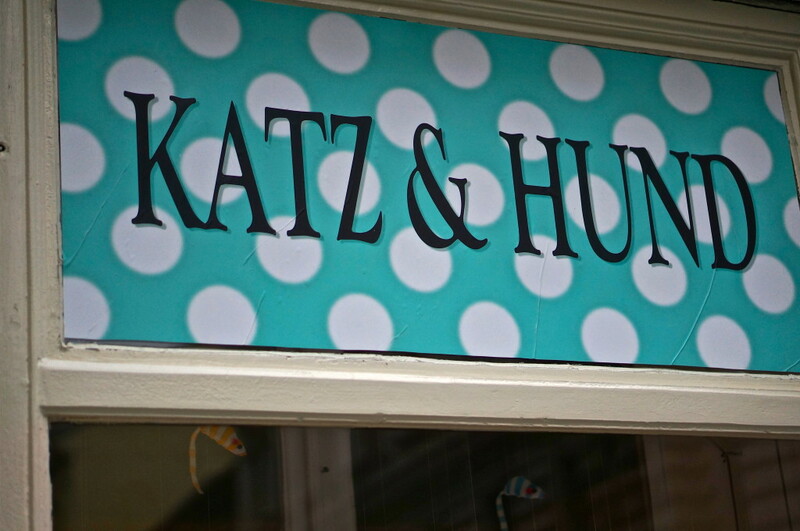 Katz and Hund features many local Viennese designers. 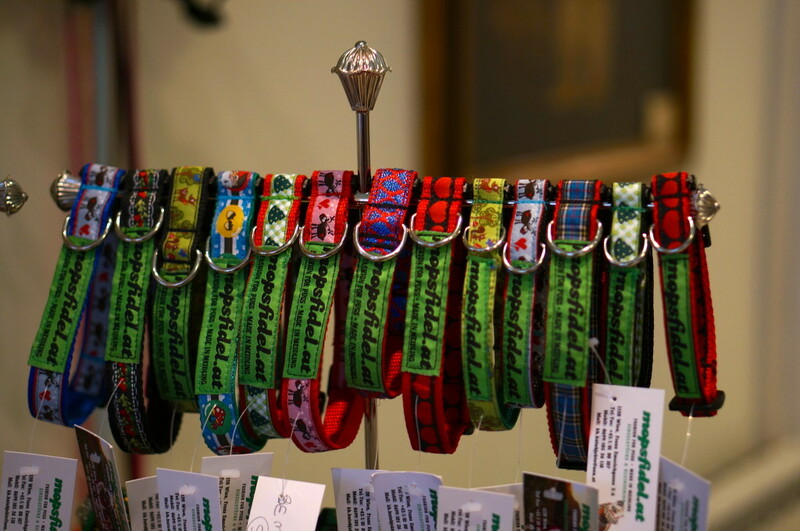 Locally made collars make a great souvenir. The pooch-in-residence, Max, is available to assist you with your purchases (when he isn’t napping). Even if you can’t get your dog to act like a perfect Viennese hund, at least they can look the part. Like this post? 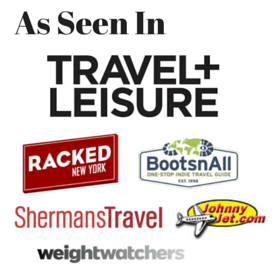 Keep up with the latest posts by liking us on Facebook! 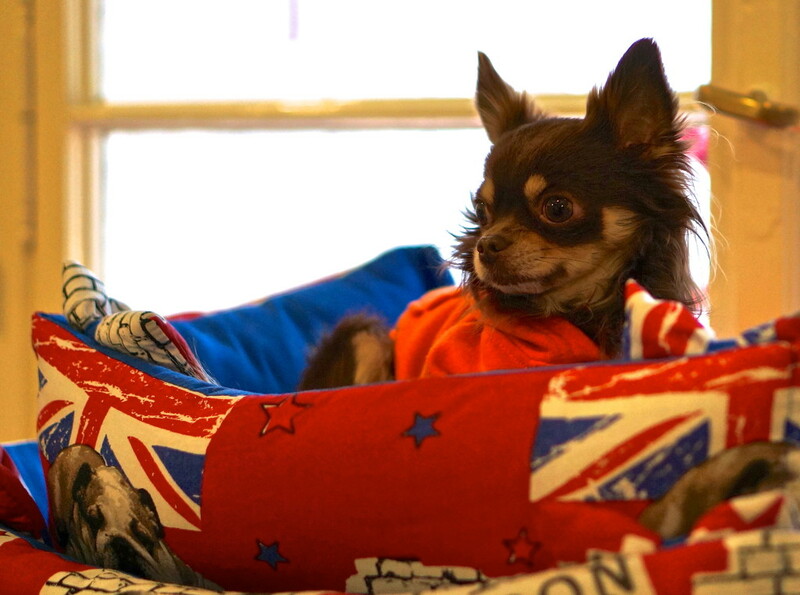 Do you love to check out the local dogs and dog shops when you travel? Tell us about it in the comments below! All photos by Souvenir Finder, Copyright 2013, all rights reserved and may not be used without express permission. In a very fancy cafe at the Hotel Imperial in Vienna, I saw a chihuahua sitting on a plush pile of pillows on a little settee next to her owner! I don’t think it’s every hotel and restaurant, but more than the US which is none! I got scolded on the nyc subway because my chi had poked her head out of the carrier. Some hotels in the US are dog friendly, but many have high cleaning fees and some even require you hire a dog sitter if you leave your pup alone in the room. Great post Kristin. I’m typically writing about dogs and their reactions to cyclists so this post on shopping dogs is a lovely change! Lol! just saw this Sue sorry for the delayed response– thanks for the nice compliment! Maybe you should leave a trail of puppy treats in your wake to make them more cylclist friendly! 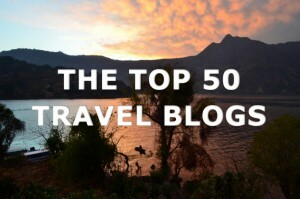 Thanks so much for your kind words– you are my fav travel bloggers anywhere so I am honored with the compliment! Happy New Year to you too! Pets should definitely be spoiled (I write this as my chihuahua sits in my lap demanding more petting). That’s interesting to hear about Korea as I wasn’t there long enough to get that insider perspective– but they certainly had some cute dog outfits at the Dongdaemun market. I’ll have to look out for the pups on my next trip there! Ah this post brought a smile to my face. I will have to show it to my mother’s Shiba Inu. He is quite the ill-behaved boy and perhaps seeing this will make him mend in his fractious ways lol. Its fantastic to see a city that loves their dogs! And respect them! I know, it makes me want to fly my chihuahua over for a visit! Beautiful photos obviously well loved and spoilt pooches in Vienna. I loved your story and the pictures! 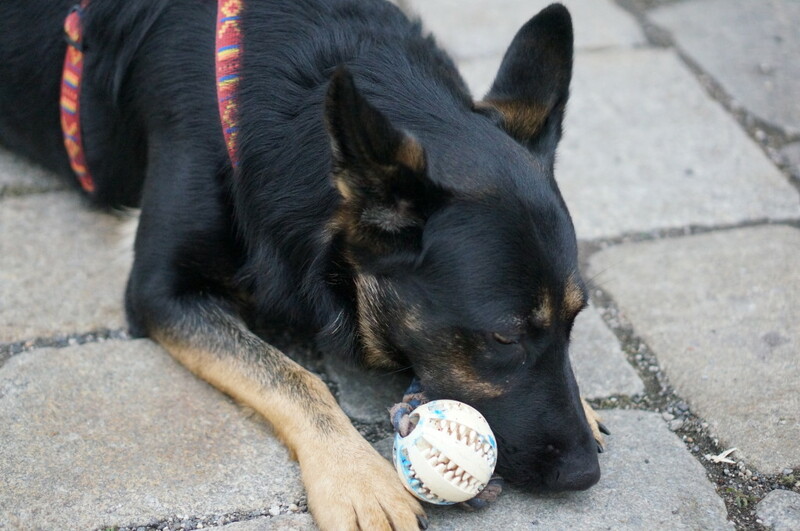 The Hotel Sacher has created a special Sacher Pets Program for guests taking their dog with them and both, guests and dogs, like it! Thanks for reminding me of the posh well-groomed dogs in Austria! I remember being amazed to see them sitting on chairs with their owners in (indoor!) cafes. What a fun photo essay. And I have to say that Max is ridiculously adorable! 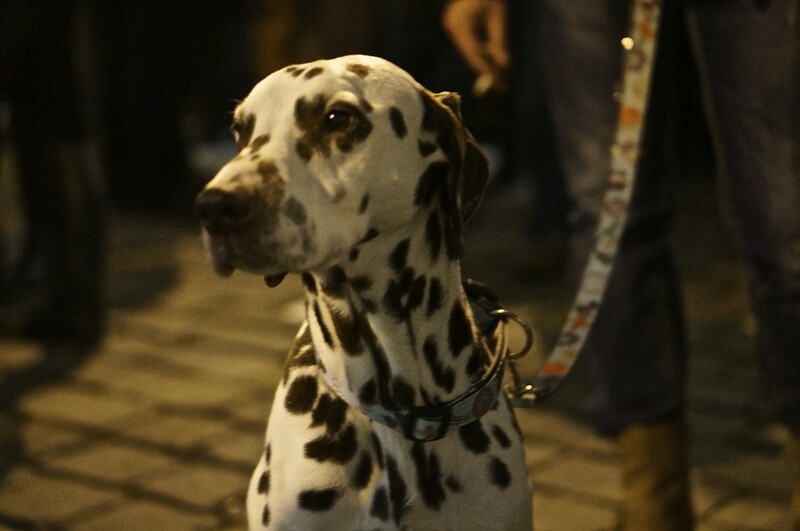 Since I stalk pretty dogs at home, this series of photos was quite a treat! Haha. SO CUTE. I forgot the aversion! How could you not love Max. 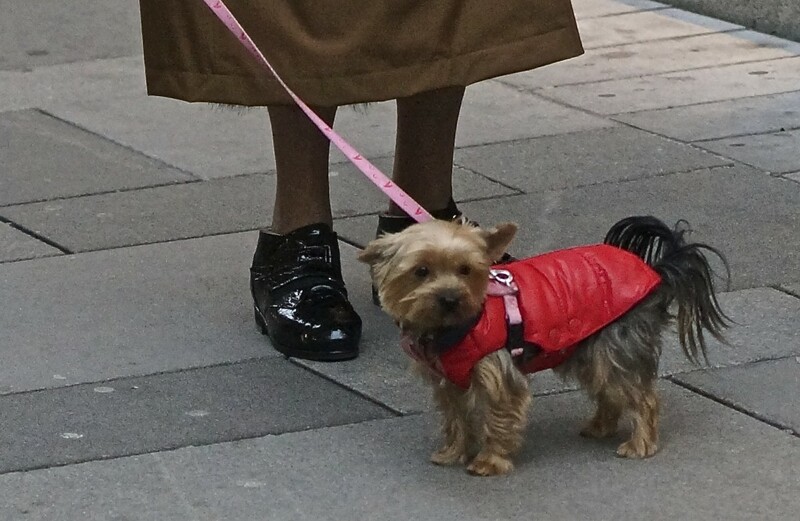 Having recently been to Vienna, I can say I’m not surprised you think the city is home to the world’s most elegant dogs. The whole CITY is elegant! I don’t recall seeing too many dogs while I was there, though. 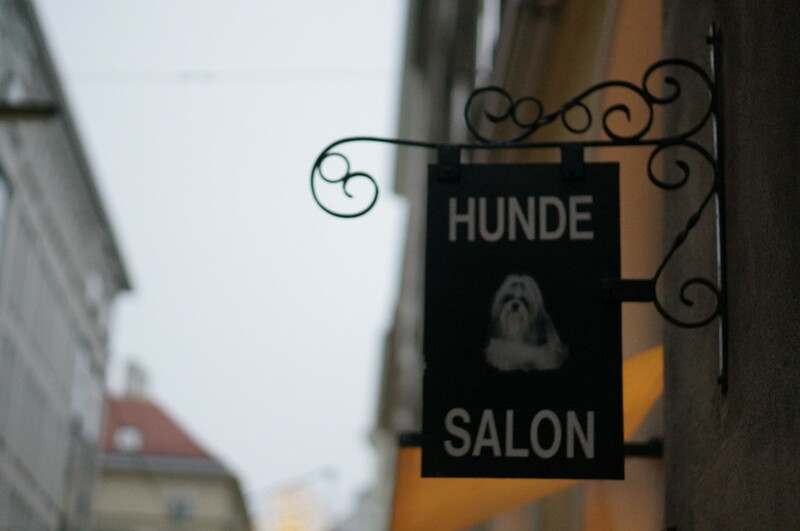 Maybe they all were at the hunde salon…. I noticed so many sweet dogs on my first trip (6 chihuahuas on my first day!) so I made a point of photographing them on my return trip. There is so much to take in though in Vienna it’s easy to be distracted by everything else! Wow so apparently everyone has a dog there.